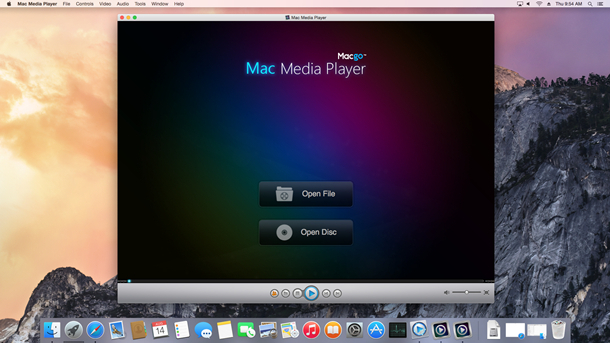 Free Mac Media Player, as a multi-purpose media player, can be used as free VCD player as well. 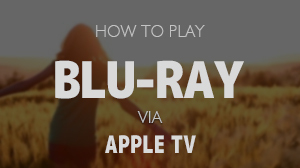 It is very applicable for you to watch any VCDs on Mac. 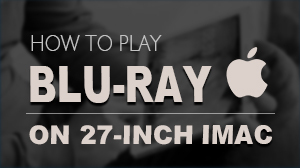 It only needs two steps to play the VCD you want without limitation. The detailed tutorial is as follows. 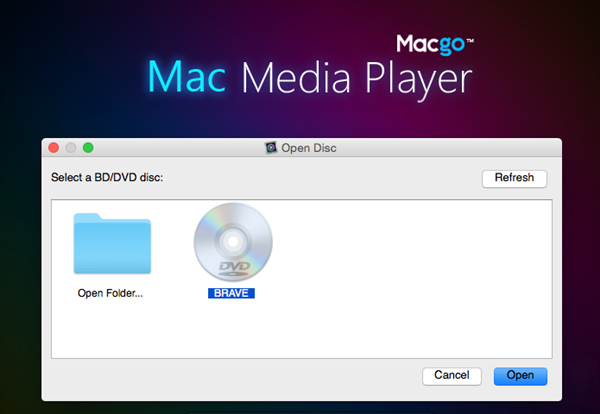 1) Insert your VCD into the drive and click on "Open Disc", then wait for a minute for the program to get started. 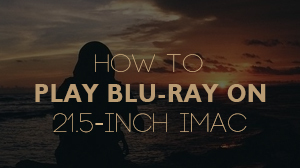 In the next popup window, click on the disc you have inserted, then click on "Open".